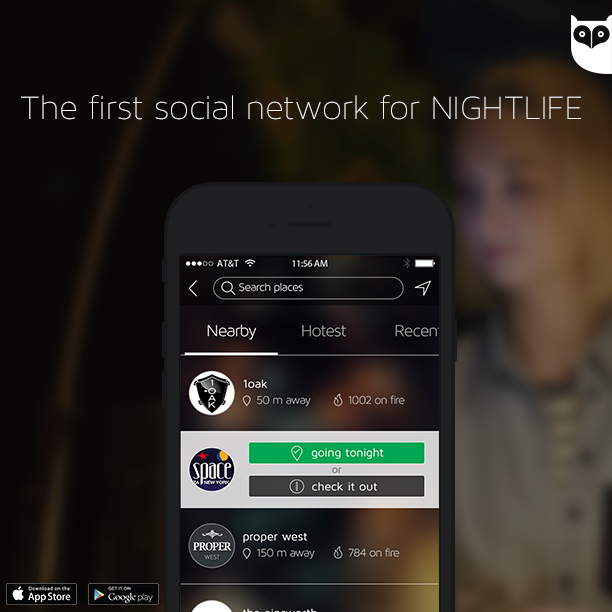 Dating App Lets You Meet People At The Bar BEFORE You Even Get There! It's a well practiced dating technique adopted by many singletons all over the world: If you're looking to hook up, head to a bar. However, it's always a little disappointing when you turn up and there's hardly anyone else there, or even how sometimes the girl-boy ratio isn't in your favour. Well now with the new dating app Weepo, you can check out who's in the bar before you get there, meaning that if the male-to-female ratio isn't what you're looking for, then you can decide before heading out if that's the destination for you. The app shows you who else on the app is going to the same venue therefore giving you some idea as to what the vibes will be like when you get there. Once you've found the right venue for you, you can swipe through other app users, rather like Tinder. If two users match then they can chat on Weepo, knowing that they will meet up at the venue later on. Mr Roy Lugasi, co-founder of Weepo, told The New York Post: 'With all those other apps, you have to go through a conversation where it takes two or three days to meet up. What's the downside you ask? Well, if a user decides that they don't like the person they are chatting to on the app, they will still have to see that person at the same bar... awkward.